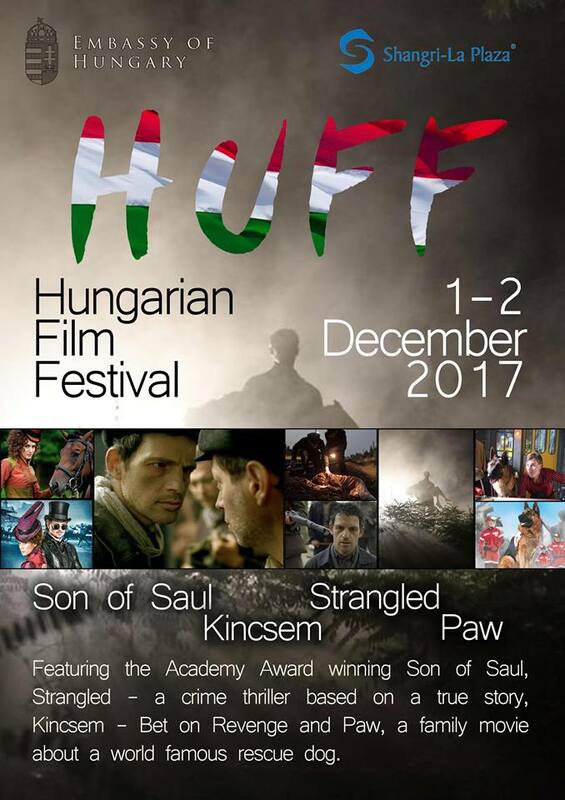 The Embassy of Hungary in the Philippines and Shangri-La Plaza are proud to present the 1st Hungarian Film Festival in Manila on December 1-2, 2017 at Shang Cineplex, Shangri-La Mall in Mandaluyong City. The event will showcase four critically acclaimed films never before screened in the Philippines. Screenings are FREE of charge, on a first come, first served basis. 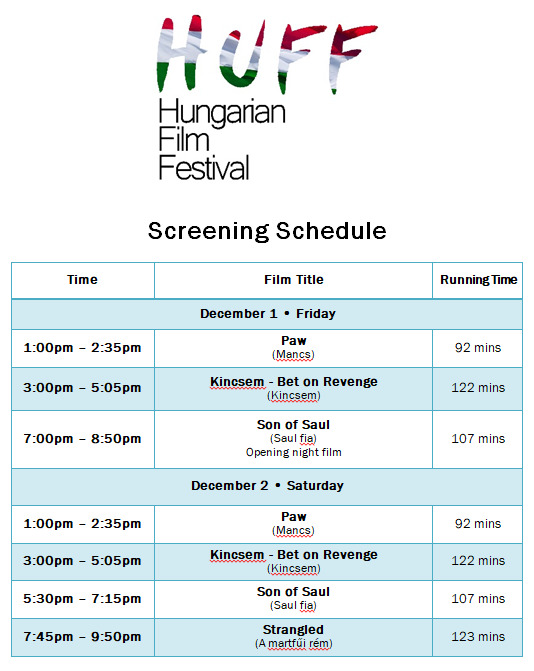 Hungarian cinema has a long tradition dating back to the first years of the 20th Century, during the past decades the inhabitants of the Central European country gave major contributions to world cinema. Many pioneers of Hungarian cinema influenced the art form from within Hungary, like directors István Szabó, Béla Tarr and Miklós Jancsó, or from abroad, like producers William Fox (founder of Fox Studios), Adolph Zukor (founder of Paramount Pictures) and Alexander Korda (a pioneer of the British film industry). Presenting the Academy Award winner Son of Saul (2015) as its main feature, the festival aims to bring Hungarian culture and history closer to a new audience in the Philippines. Son of Saul is drama directed by László Nemes and is set the Auschwitz concentration camp during World War II, and follows a day-and-a-half in the life of Saul Ausländer (played by Géza Röhrig), a Hungarian member of the Sonderkommando, a special forced labour unit made up of prisoners. The film won the Grand Prix of the 2015 Cannes Film Festival, the award for Best Foreign Language Film at the 88th Academy Awards. Son of Saul was the first Hungarian film to win the Golden Globe for Best Foreign Language Film and it is the second Hungarian film to win an Oscar, the first one being István Szabó's Mephisto in 1981. 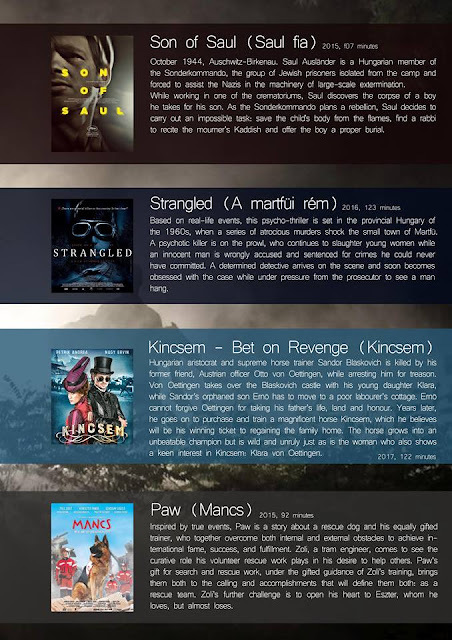 Strangled (2016) will bring to the screen a psycho-thriller set in the 1960s oppressive Hungary, when a series of atrocious murders shock a small town. Paw (2015) is a family film about a world famous rescue dog and his family. The Embassy of Hungary recently reopened in Manila in March 2017 and is endavouring to provide opportunities to introduce the art, culture and history of Hungary the the Filipino audience.